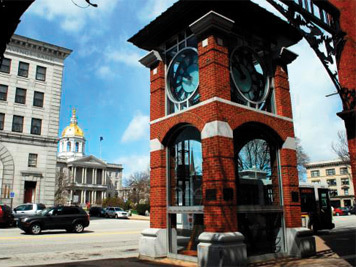 A walk around downtown Concord brings to life the history of a small state capital and a downtown that continues to be a vibrant spot with plenty to see and explore. 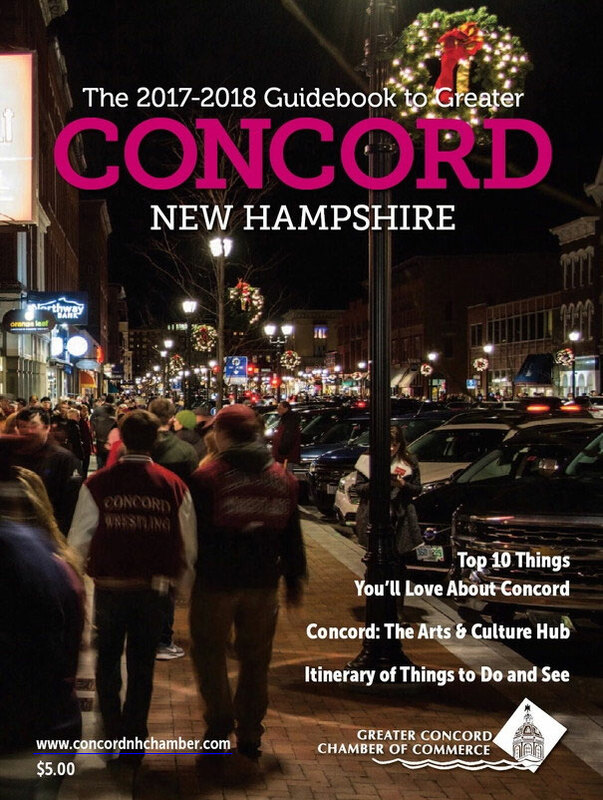 The recently updated guide includes 62 points of interest, filled with stories of the past, historic homes and landmarks and fascinating facts about the history of Concord, and its major influence in New England. 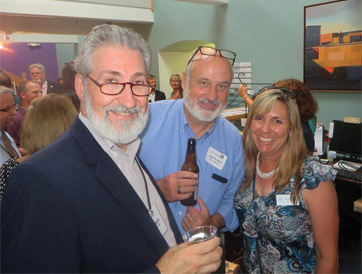 Published once a year, this book has several pages of useful Concord area information on subjects including tourism, education, employment, lodging, events, local businesses, real estate, retirement, family entertainment, and much much more. *This is included in the Relocation package below. Includes information about Concord and 15 surrounding towns. 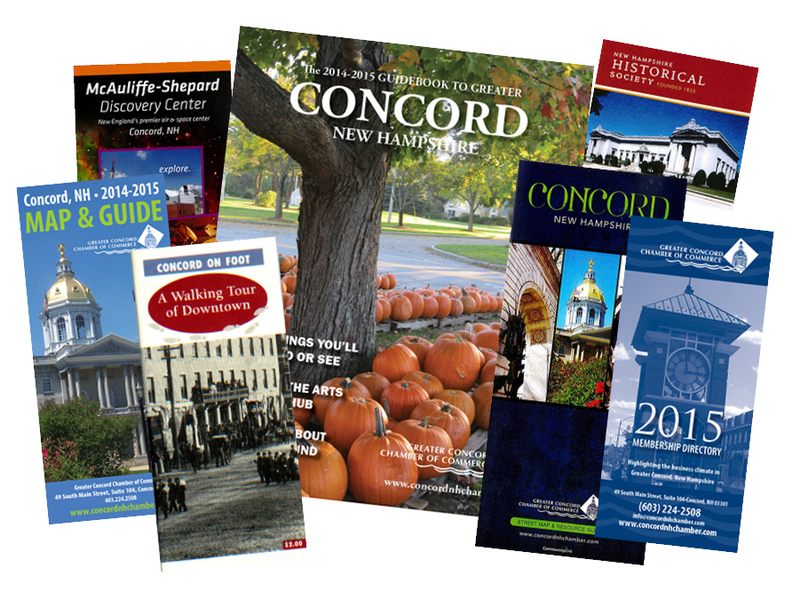 This valuable set of publications includes: Concord Guidebook, Chamber Membership Directory, Destination New Hampshire Magazine, Concord Street Map & Tourist Map, Map of NH, real estate information, and Concord Magazine. Full-color map for visitors to our area. Lists restaurants, accommodations, places of interest with detailed streets and more. *This is included in the Relocation package above. Full-color map of the Greater Concord area. Detailed streets and highways, and legend including parks, waterways, churches, police and fire departments, airport, golf courses, colleges and schools, City Hall, libraries, town hall, post offices and hospital locations.